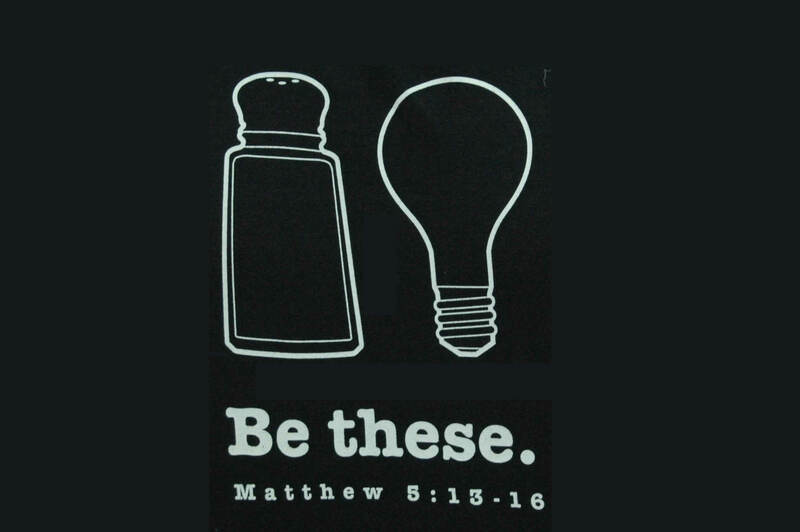 Matthew 5:13-16 “You are the SALT of the earth, but if salt has lost its taste, how shall its saltiness be restored? It is no longer good for anything except to be thrown out and trampled under people’s feet. “You are the LIGHT of the world. A city set on a hill cannot be hidden. Nor do people light a lamp and put it under a basket, but on a stand, and it gives light to all in the house. In the same way, let your light shine before others, so that they may see your good works and give glory to your Father who is in heaven. True Christians are to be in the world like SALT. Now salt has a peculiar taste of its own, utterly unlike anything else. When mingled with other substances, it preserves them from corruption. It imparts a portion of its taste to everything it is mixed with. It is useful so long as it preserves its savor, but no longer. Are we true Christians? Then behold here our place and its duties! True Christians are to be in the world like LIGHT. Now it is the property of light to be utterly distinct from darkness. The least spark in a dark room can be seen at once. Of all things created light is the most useful. It fertilizes. It guides. It cheers. It was the first thing called into being. Without it the world would be a gloomy blank. Are we true Christians? Then behold again our position and its responsibilities! Surely, if words mean anything, we are meant to learn from these two figures, that there must be something marked, distinct, and peculiar about our character, if we are true Christians. It will never do to idle through life, thinking and living like others, if we mean to be owned by Christ as His people. Have we grace? Then it must be seen. Have we the Spirit? Then there must be fruit.Have we any saving religion? Then there must be a difference of habits, tastes, and turn of mind, between us and those who think only of the world. It is perfectly clear that true Christianity is something more than being baptized and going to church. “Salt” and “light” evidently imply peculiarity both of heart and life, of faith and practice. We must dare to be singular and unlike the world, if we mean to be saved.